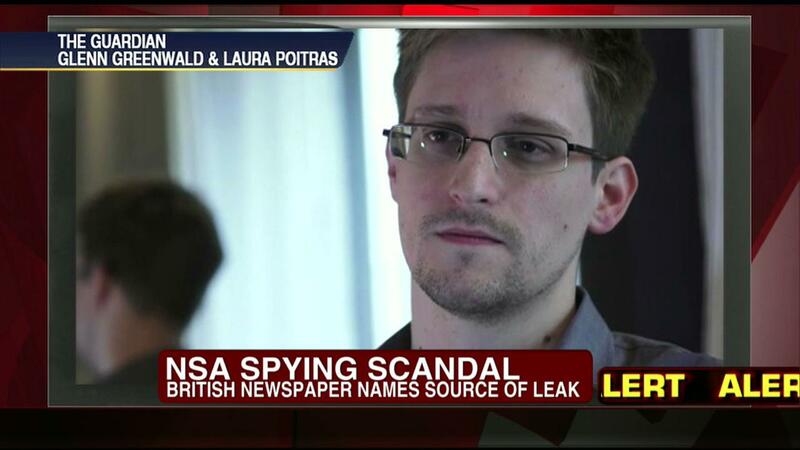 On January 17th, 2014, President Obama gave a speech announcing his plan for reforming the extremely controversial NSA’s surveillance programs that were revealed by Edward Snowden. During his speech, Obama suggested several executive actions that could alter the NSA’s surveillance program and alleviate some of the concerns of privacy activists—that said, the president’s proposals are by no means transformative of the programs themselves and there are several extreme limitations to his ability to achieve lasting change in their application. Due to the complex nature of the NSA spying programs, any reforms will likely be difficult for the public to truly understand—as such, I am writing this article to list and explain the President’s proposals. For the last six months, leaks by Edward Snowden have incrementally pulled back the curtain on a gigantic and secret digital spying operation by the National Security Agency. Snowden’s leaked documents have informed not only the public about these programs, but also our representatives, most of whom were kept in the dark as to the true scope of NSA operations. Meta-Data Collection: Currently, the NSA stores huge volumes of communication meta-data from domestic and foreign sources. This meta-data allows analysts to know who is contacting whom, when and where they make the call, and how long the call lasts. 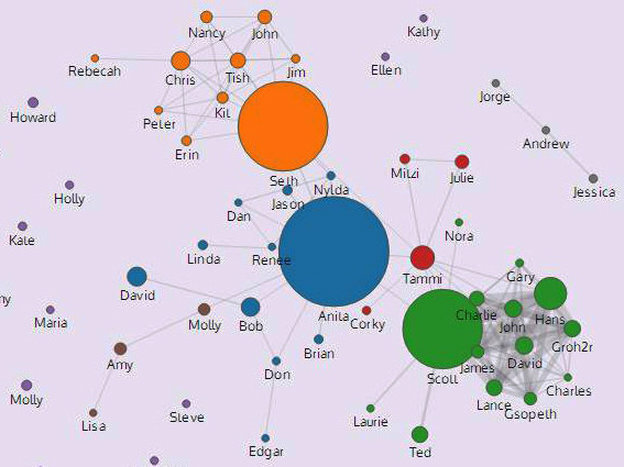 By creating webs of contacts, these analysts are able to draw informed pictures of situations and webs of social associations (that are theoretically used to track down terrorist cells). PRISM: The PRISM program involves intelligence analysts using backdoors into online service providers (ex. Google) to mine data (ex. emails, video, documents, etc.) on targets. This program has targeted an indeterminate number of targets, including the leadership of Mexico, Columbia, and Brazil. While the NSA says that this program doesn’t target Americans, internal documents indicate that the NSA has “accidentally” collected over 56,000 American emails in the last three years. It is important to note that ANY reform that Obama can unilaterally implement through executive power is only certain for as long as he is in office. In 2016, when Obama leaves office, the next executive will pass his own executive orders to the NSA and it is possible that every “reform” suggested by Obama will simply disappear overnight. Because of the mutability of executive orders, advocates of reform must not stop with accepting Obama’s proposals, even if they think that such proposals would make the NSA’s programs completely acceptable. In order to make those reforms permanent—rather than contingent upon the whims of an executive who spends a maximum of 8-years in office—reform advocates must pass legislation through the legislative branch or challenge the programs in court. The first “reform” announced by the president was a presidential directive that would increase the level of control that the executive branch would have over intelligence gathering. 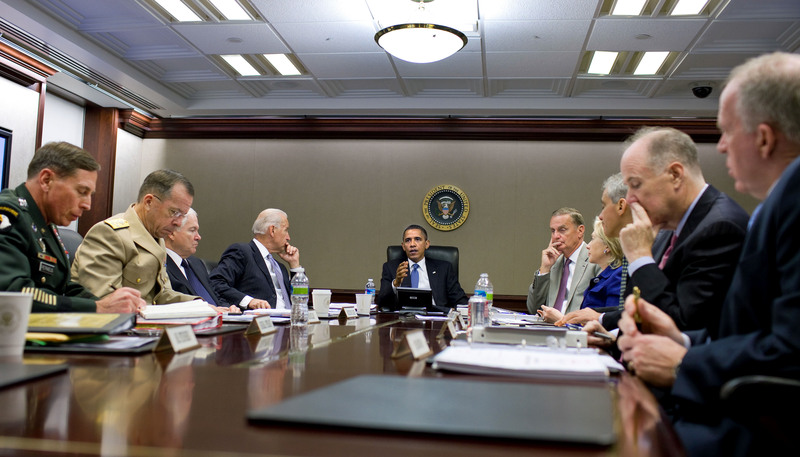 Under this reform, Obama’s security team would perform an annual review of surveillance targets in order to focus efforts at those who concern the administration the most. Put simply, this “reform” is just a consolidation of power over intelligence programs that does absolutely nothing to prevent abuse or constitutional violations—it merely shifts the power to abuse intelligence tools more into the hands of the executive branch and slightly farther away from NSA bureaucrats. The second reform announced by the president was a generalized call to increase transparency surrounding some NSA programs and the FISA court itself. Such increases in transparency are not difficult, as the NSA and FISA court currently use secret court decisions, argued in front of a secret court, to enforce secret law, as defined through secret legal interpretations. While Obama has yet to spell out specifics as to how much he will be increasing transparency, any light on the NSA’s action is positive. That said, selective or incomplete transparency is not a substitute for substantial transparency and oversight. At a bare minimum, Congressional oversight must have complete transparency in regard to NSA programs while the American people should be given access to all legal justifications that are used to authorize the NSA’s operations. 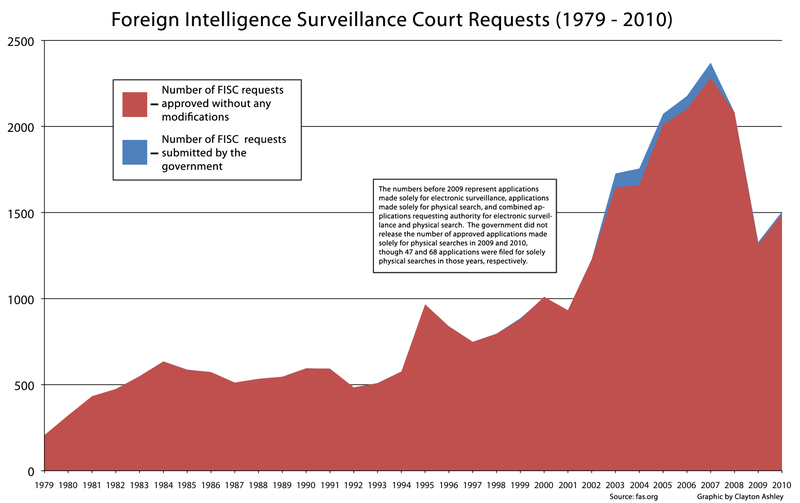 Currently, the NSA approaches the FISA court for warrants without any opposition advocate, thus the courts only hear the argument supporting the granting of the warrant—this imbalance heavily skews the odds of getting such warrants in favor of the NSA (99.7% of warrant requests are granted). The third reform promised by Obama is to create a panel of advocates who would argue the case of the people in front of the FISA court. While he didn’t give specifics about the composition of this panel, This reform would help ensure that the FISA court isn’t just a rubber-stamp mill that only ever hears the case of the NSA. 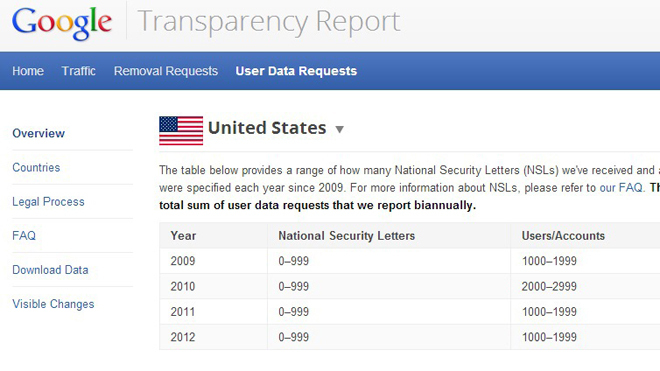 Currently, “national security letters” are used by the government in order to compel digital service providers into giving the government personal information on American targets without ever disclosing to that target that it is doing so—such letters can last indefinitely and it is entirely possible for somebody to be under surveillance for years without ever being notified or charged with a crime. The fourth reform offered by President consists of limiting the scope and length of these letters so that they eventually sunset. If Obama enacts this reform, all national security letters would expire after a predetermined amount of time (that is currently undisclosed) unless the government could prove that secrecy was necessary. Ultimately, while this reform is positive, the entire concept of the National security letter is one that makes many privacy advocates worry. National security letters are a way of bypassing the normal investigative procedures and have been the subject of many court challenges since they were expanded with the 2001 Patriot Act. Taking the fact that I believe that national security letters should not exist into the first place into consideration, I see the proposed limitations of such acts by Obama to be a positive change. The fifth reform offered by Obama was an overhaul of the NSA’s meta-data collection programs that would supposedly protect Americans’ privacy. First and foremost, this reform would move the storage of meta-data to a currently unnamed “third party” that would hold the data until it was needed. Theoretically, this would prevent the government from accessing the data that they have collected without judicial approval. Unfortunately, this “reform” is, at best, meaningless and, at worst, a menace. Any third party to be given access to the NSA’s databank would have immense amounts of information that they could theoretically use for personal gain. In recent years, we have seen private intelligence contractors misuse their access for personal profit or vengeance, and the shift of meta-data storage to these third parties risks making this problem even worse. Beyond this, even if some ethically unimpeachable third party were to be chosen to store the meta-data, the program would still violate the Constitution. 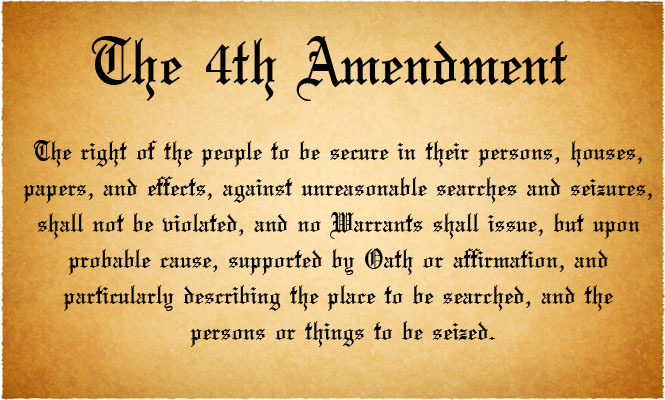 The 4th Amendment protects against unwarranted SEARCH and seizure, thus the very collection of the meta-data is a violation of personal privacy protections—this remains true even if nobody ever looks at the data. Finding a third party to store meta-data is a bandage over a gaping and gangrenous wound in our constitutional privacy protections in that it can be positive, but it only covers up the larger problem. 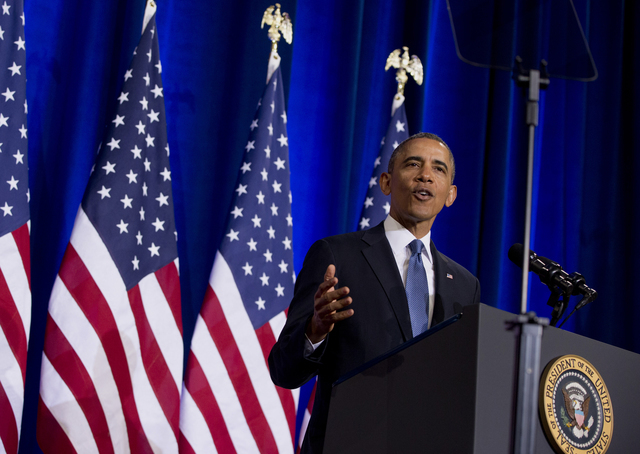 In addition to altering the storage methods of the NSA’s meta-data, President Obama proposed limitations on what information can be accessed by the NSA. Under the reform plan proposed by Obama, the NSA would have to request judicial approval to look at the meta-data of a phone connected to terrorism, and then would only be able to access meta-data within two separations of the initial phone. In short, instead to being able to look at any phone number on a whim and create a massive web of information, the NSA would have to present its case to the FISA court about a specific phone call and would be limited to looking no further than the people who contact those who are in direct contact with the target. Unfortunately, this would still allow the NSA to create a MASSIVE web of information that would cover innumerable innocents. To put this into perspective, imagine that a person is under surveillance who has only contacted 50 people on the phone—if each of those 50 people were to contact fifty other people, then the NSA would have 2501 people in its web. Even two bridges of separation, using improbably small numbers of contacts, quickly grows into a huge web that captures the data of thousands of innocents. Just as with the last reform, these limitations are positive, but they are simply improvements on a toxic and unconstitutional program. Limiting such intrusions into the privacy of Americans is always positive, but it is only a first step towards eliminating the problem completely. As a final reform, President Obama has promised to stop data collection efforts targeting the political leadership of allied countries. It was a political scandal when it was discovered that the NSA was spying dozens of heads of state—including the German Chancellor and the French President—and this reform is expected. Even if one argues that the NSA is hunting for terrorists, there is no justification for bugging the personal communications of allied leaders and such spying is a violation of international law. It is imperative that Obama follows through on his promise to stop such conduct quickly, if only to stop damaging our diplomatic status on the world state. At the end of the day, the reforms that Obama mentioned in his speech are a start, but they are wholly inadequate for a long-term fix. As with many other issues, President Obama has not gone far enough in fixing a problem and has decided to support putting a fig-leaf over an issue rather than championing fundamental reform. 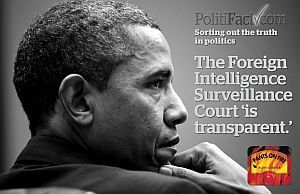 In addition to not going far enough on some issues, Obama’s plan completely fails to address several vital issues, including the nature of the FISA court and the constitutionality of dragnet surveillance itself. First, the FISA court must be staffed by a diverse mix of jurists rather than the selection of a single Supreme Court justice. Giving one unelected and unaccountable justice the power to cherry-pick the judges who rule on national security issues is simply bad policy and asking for corruption. Transferring this power to the executive and judicial branches (nomination by the executive and confirmation by the legislative) would help ensure that it would be more difficult for the court to be stacked in one side’s favor. Second, the decisions of the FISA court must be publically available so that decisions are not being made using secret laws. Revealing the legal justifications and constitutional arguments that are used to underpin national security laws is no danger to national security. That said, failing to reveal such arguments is an invitation for the government to violate constitutional protections through using nonsensical arguments that will never need to be defended in the light of day. With all due respect to the office of the president, Barack Obama’s argument that the digital age has brought about the need to spy on large numbers of people without specific warrants is absolute nonsense. Constitutional protections exist outside of the changing circumstances of the times and it isn’t acceptable for an executive to unilaterally decide when it is acceptable to abridge the 4th Amendment. Obama may be correct that the 4th Amendment is restricting the NSA from collecting information that is vital for national security, but that is irrelevant under the law—the government cannot violate the Constitution, even if doing so would be extremely effective in protecting national security. Fortunately, the founders anticipated the changing of the times and they wrote the Constitution with a provision that allows for amendments. 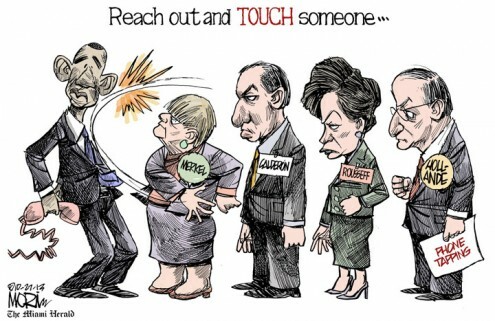 If Obama wants to support altering the 4th Amendment in order to account for new technology (ex. carving out a metadata exception), then that is his right. That said, unless this happens, the government cannot seize the power to unilaterally alter the Constitution because it believe that doing so would protect its citizens. Hopefully, President Obama’s speech is just the start of a larger movement towards reform of the NSA’s intelligence programs. Once Obama starts enacting his proposed reforms, it is incumbent upon elected representatives and the public to ensure that such reforms are not only made permanent, but added upon.